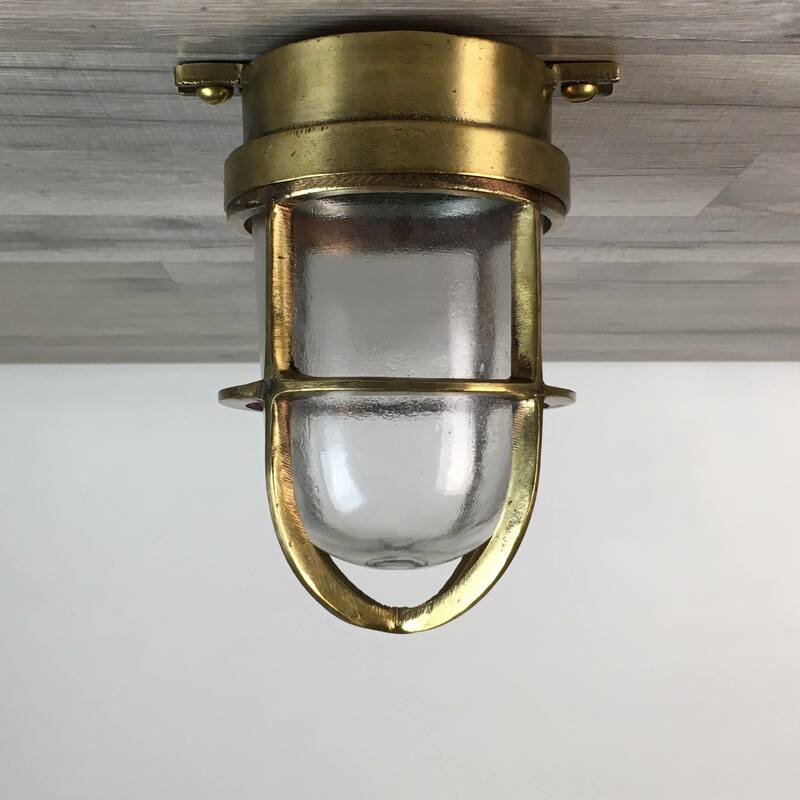 From the top of the wall mount of this large antique brass bulkhead light to the bottom of the cage, this light measures 14 inches long. The brass rain cap cover measures 9 inches wide. The four screw holes measure 5 1/4 inches on center of each other. The junction box measures 4 5/8 inches wide. When mounted to the wall, this light will extend out by 10 inches. This light weighs 11 1/2 pounds. We have installed new Westinghouse UL-Listed wiring and a bulb fixture that is rated for up to 250 volts. This light takes a normal screw in house bulb of 75 watts or less. 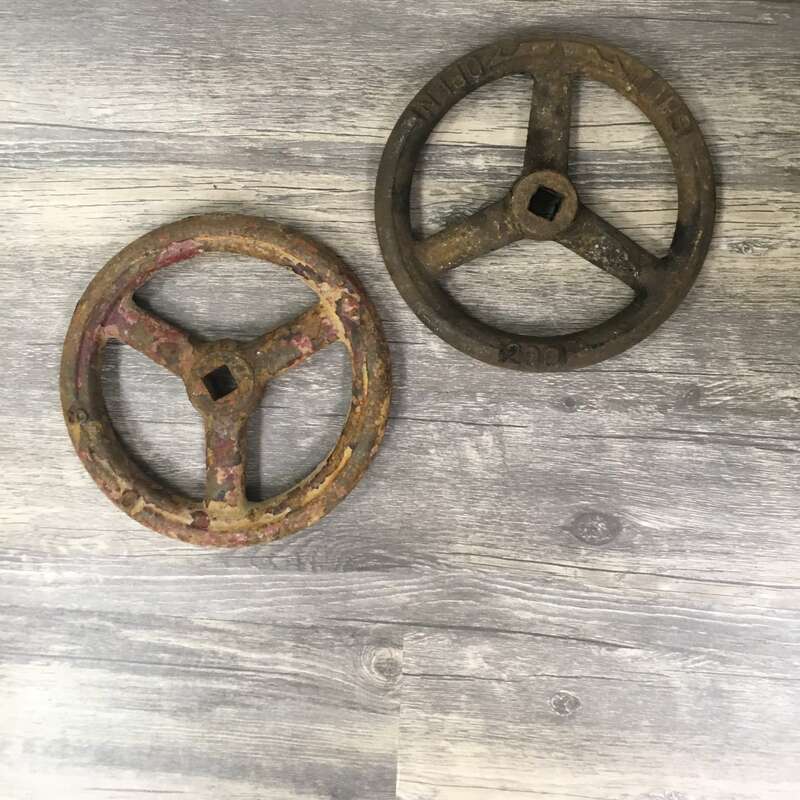 You will be shipped a large antique brass bulkhead light like the one shown in the photos.